A new law that would significantly restrict the definition of 'kosher' at food establishments was approved for legislation Sunday. A new law that would significantly restrict the definition of “kosher” at food establishments was approved for legislation Sunday by the Ministerial Committee for Legislation. The bill, sponsored by Shas, goes beyond the current system of “positive affirmation” of kashruth, in which an eatery displays a certificate that it has been inspected by the Rabbinate, and requires that any establishment calling itself kosher be exclusively under Rabbinate supervision. The law was approved after numerous delays, which occurred either because the Committee refused to consider it or because its sponsors pulled it, as they did at least three times. Justice Minister Ayelet Shaked and Jerusalem and Jewish Heritage Minister Zeev Elkin both abstained in Sunday's vote. According to Shas, the objective of the bill is to foil attempts by non-Rabbinate organizations to provide supervision of food, without relating to whether or not an establishment operates on Shabbat; several supervision organizations have of late distributed certificates attesting to the kashrut of restaurants that operate on Shabbat, while the Rabbinate denies such establishment certificates. The bill promises stiff penalties for violators of the law. The law is also expected to face opposition at the High Court. Responding to a petition by several restaurant owners at the Court in June, Attorney General Yehuda Weinstein said he did not think he could defend the government's view that the Rabbinate be solely responsible for supervision. 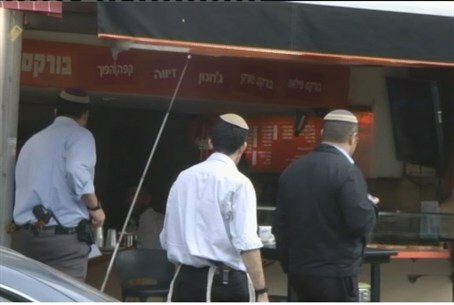 In a letter to the Court, Weinstein said that it should be possible for a food establishment to present itself as “kosher,” even if the supervising agent was not recognized by the Rabbinate, as had been the understanding of the law on kashrut fraud for the past 67 years of the State's existence. The two Jerusalem restaurants are suing the State in the High Court for the right to call themselves kosher, despite the fact that their certificates were rescinded – and the Rabbinate has fined them, with the restaurants demanding that the fines be rescinded. The restaurants say that the Rabbinate's demands are “excessive,” including demanding that they use only “bug-free Gush Katif” leafy vegetables. They are prepared to allow supervision, but not at the level demanded by the Rabbinate they told the court, which asked the State to respond to the claims.